Today is a wonderful day, the sun was shining, the birds were tweeting…..and it’s Pancake Day! When I was at University, my housemates and I paid homage to the glorious day once a month. To eat delicious pancakes in a celebratory fashion only once a year is surely a crime. To honour this sweet and delicious festival, my gift to you is a roundup of the best pancakes to try. Red velvet cupcakes have been a popular trend for a while now, so it’s time to find a new form of red velvet – say hello to the Red Velvet Pancakes! Blueberries are full of antioxidants so I like to think of this option as the healthy one….that’s what I tell myself anyway. 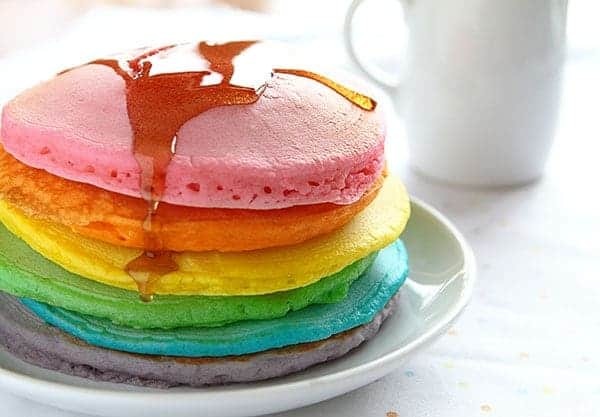 This is the best way to brighten up any day, you’ve seen the fabulous rainbow cakes now you can make a stack of flippin’ rainbow pancakes. Alcohol check, rich Irish cream check, pancakey goodness check. This probably isn’t the best idea for those on a diet, but if you are on a diet how did you get to pancake number 4?! 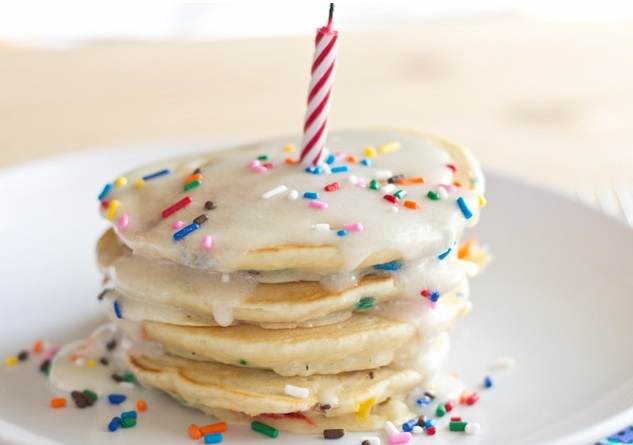 This is the perfect combination of the two best days of the year a Birthday Pancake, and no that doesn’t mean you can only eat this if your birthday is on Pancake Day but for those of you who have that….well jel!